Save big with Carrier and KB Heating & Air Conditiong. 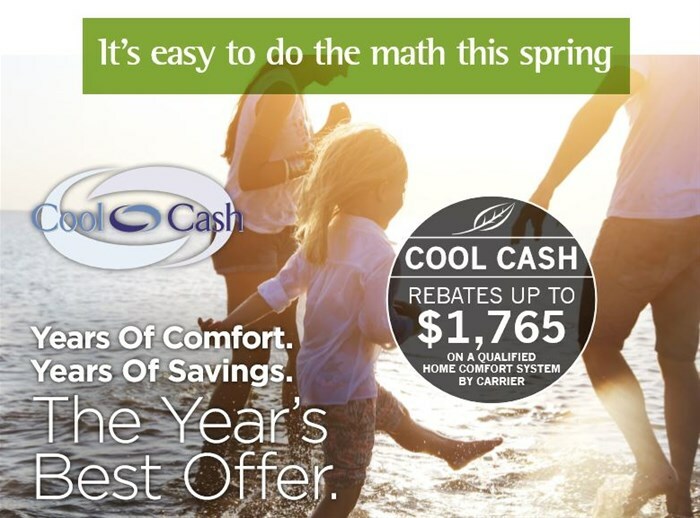 Receive a rebate* on your qualifying purchase of an energy-efficient Carrier® heating and/or cooling system from March 15 – July 15, 2017 and enjoy increased comfort and energy savings all year round. For more information call 403-328-0337.